Collect feedback from teachers to discover new ways to improve your school. What is a Teacher Self-Assessment Form? A teacher self-assessment survey is used to determine how well teachers fit into your school program. 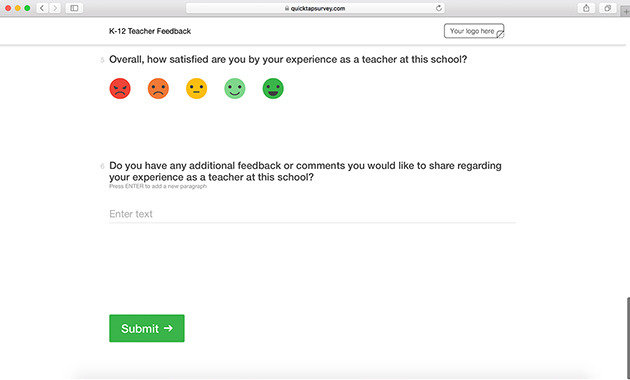 This teacher feedback survey template can help you better understand how teachers feel about their performance and whether they enjoy teaching at your school. 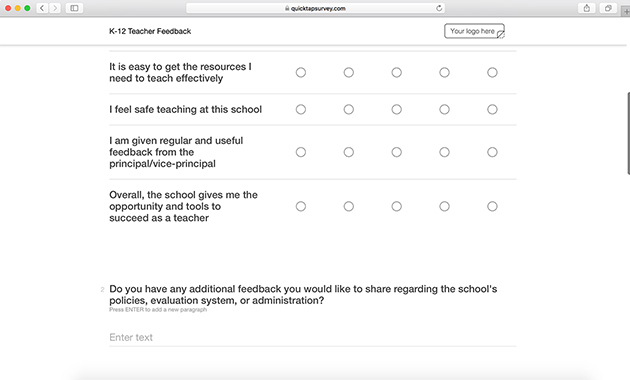 Why Should You Use a Teacher Feedback Survey? Identifying problem areas is essential in creating a healthy workplace. Use this template to learn how teachers are interacting with each other, how they feel about the content they’re teaching, and many other factors that affect their long-term and day-to-day work. 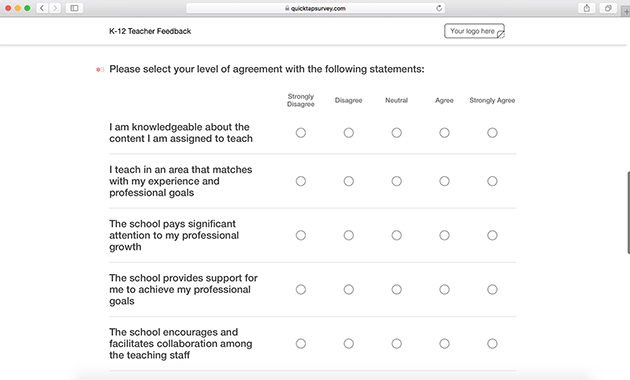 While all of our templates are fully customizable to match your needs, we've included questions in this teacher feedback template to measure everything from opinions on your teaching facilities to a teacher’s thoughts on their professional development. Have a poor internet connection? Collect feedback even if you're offline. Your survey data will sync when you reconnect to the web. Set up a kiosk in the lounge so teachers can complete your surveys unattended. Instant notifications will alert you to uptime issues. Create and send out satisfaction reports on a daily, weekly, or monthly basis to share new trends and insights with administrators.. Send instant notifications to different staff members as soon as a survey is submitted so negative feedback can be addressed quickly. 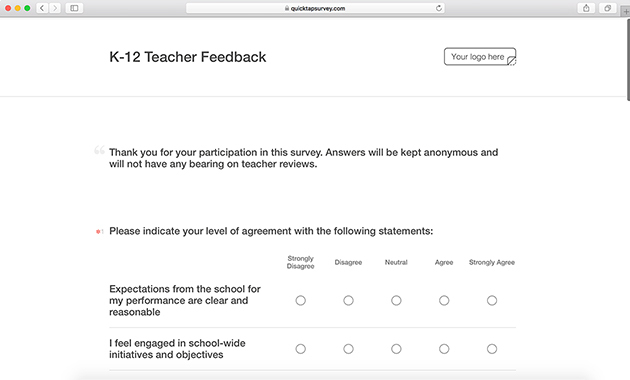 See the K-12 teacher feedback survey in action. Get access to this teacher self-assessment template by starting a free trial.